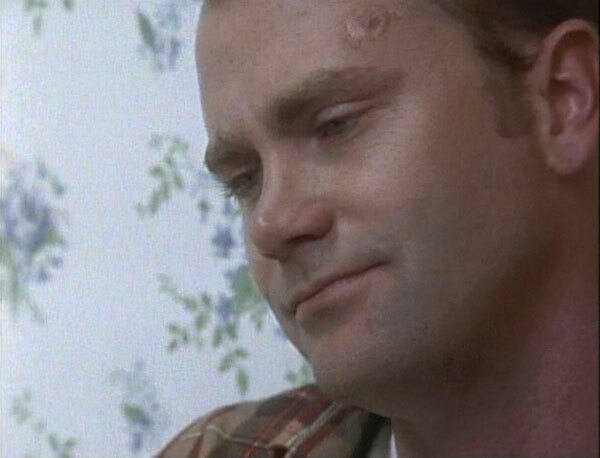 Lee Tergesen played Chris Thormann, a Baltimore police officer who is shot and blinded. His storyline parallels real-life experiences of Officer Gene Cassidy, as covered in David Simon's book, "Homicide: A Year on the Killing Streets." 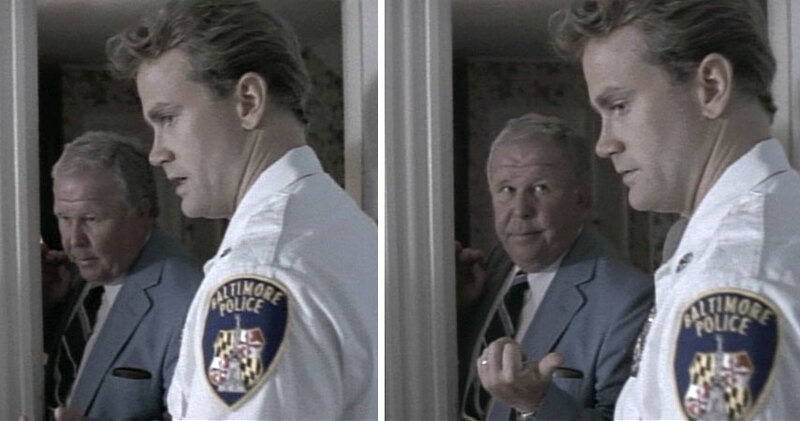 Simon spent a year with the members of Baltimore's homicide unit, and some of the TV series' characters and cases were based on the book. 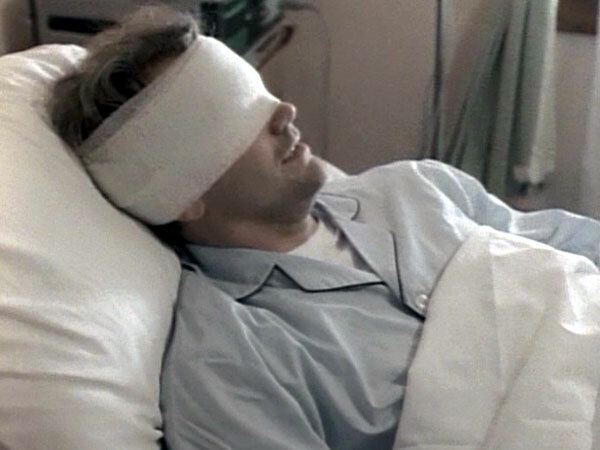 To prepare for the role, Lee said that he watched some blind people and thought about how much the eyes are an active part of how people communicate and what it would mean if they were unusable. "And I just tried to -- what’s the opposite of accentuate? -- just, not use them, really, I guess. And kept them out of focus. And relaxed," he said. 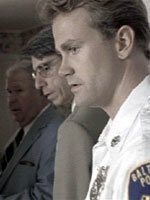 The co-executive producers of "Homicide" were Tom Fontana and Barry Levinson. 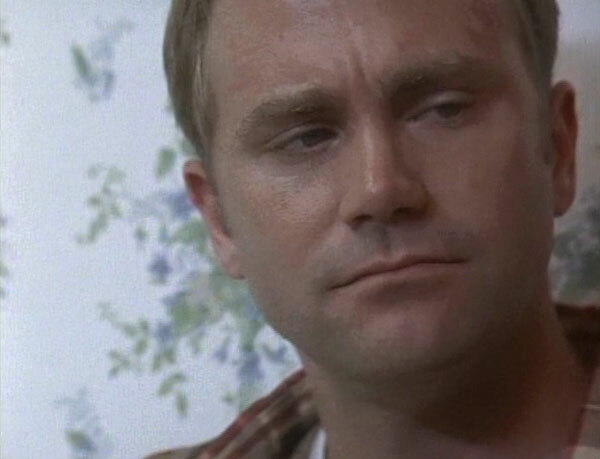 Lee's brother, Chris Tergesen, was the music supervisor. 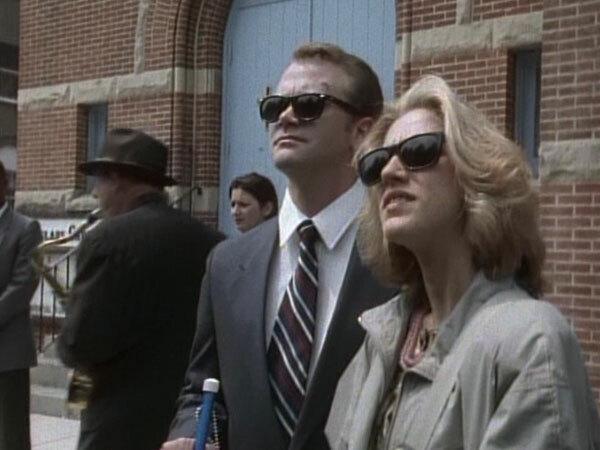 One of the oft-noted highlights of the series -- starting with the second season -- was the use of music, especially during montages of the detectives conducting their investigations. Officer Chris Thormann is first seen outside a big home in a leafy section of Baltimore. 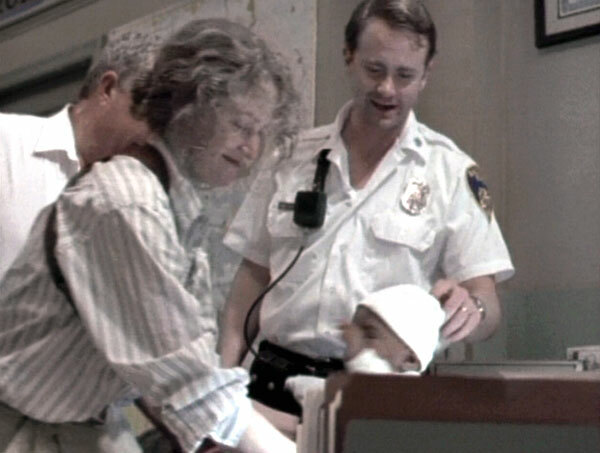 He's greeting Detectives Munch (yes, Richard Belzer) and Bolander (Ned Beatty) because inside, the "Widow Doohen" is mourning the sudden passing of her husband. However, the husband revives. When the "widow" discovers this, a huge argument between the two erupts. 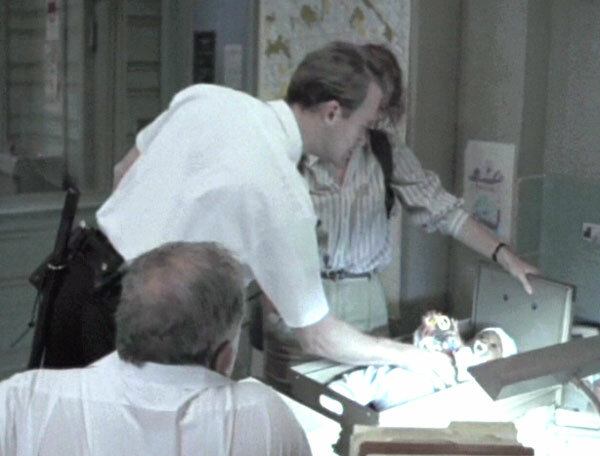 Later, Thormann calls the detectives back to the house because -- this time -- Mr. Doohen is very much dead, having tumbled down the cellar stairs. 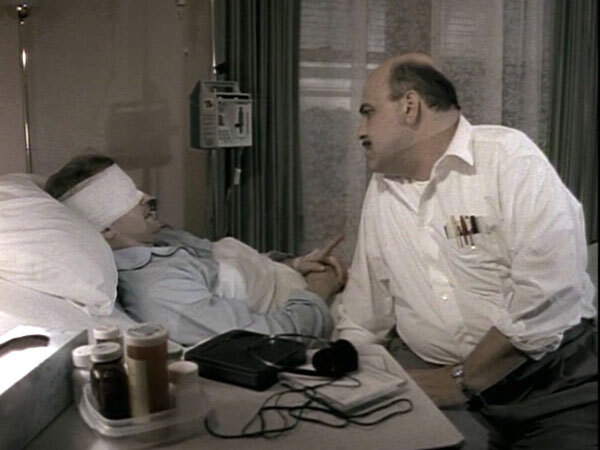 Thormann is in one last scene at the end, off-duty, joking with the detectives, including Steve Crosetti (Jon Polito), who Thormann explains was once his sergeant. 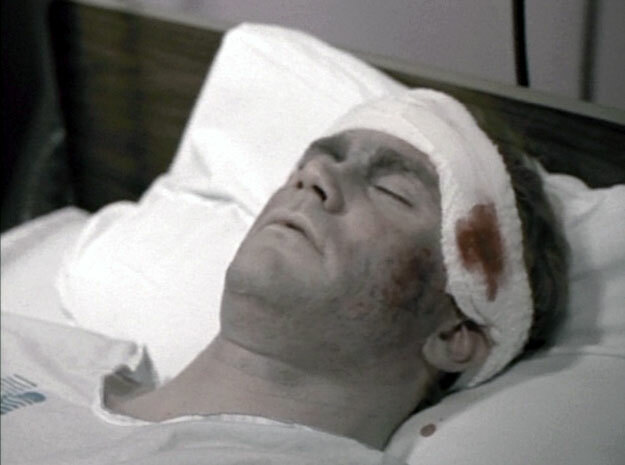 This episode originally aired as the ninth episode -- set up as a "flashback" to one very hot night shift for the detectives. In syndication and on DVD, however, the episode is the third one in the series, maintaining the continuity of the story line. In this episode, Officer Chris Thormann is on duty, bringing some unusual suspects into the police station -- a seventh-grader wanted for questioning in a homicide, and Santa Claus. He also tends to an abandoned baby. He has a nice scene with Munch, who has been lighting a candle each night "for all those who have been killed." Munch wondered who had kept it lit when he wasn't there. Thormann said, "I did... I figured it was important." 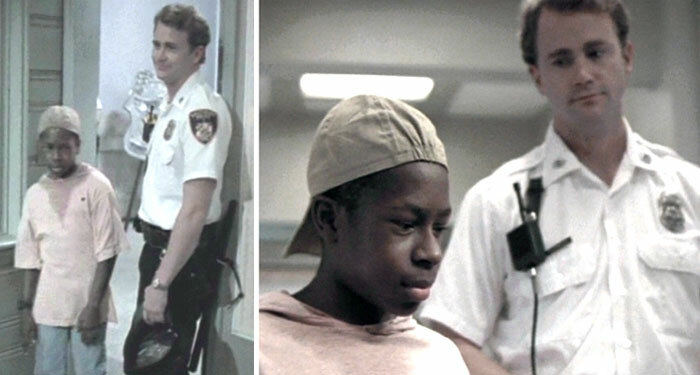 The episode opens with Lt. Giardello (Yaphet Kotto) announcing that an officer is down. He tells Crosetti that it's his friend, Chris Thormann, who has been shot. We see Thormann in the emergency room, being tended to frantically and being jolted several times with the defibrillator paddles. As Thormann's wife, Eva (Edie Falco) arrives, the doctor is telling Crosetti that it's probably best if Thormann dies on the operating table. He asks if Chris is an organ donor. 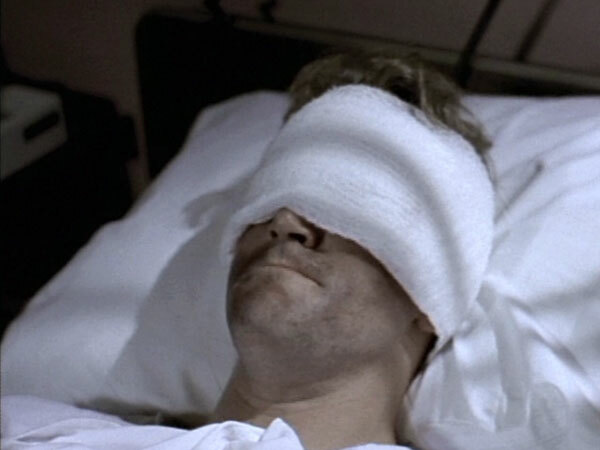 Later, the doctor reports that it's a miracle that Thormann survived. 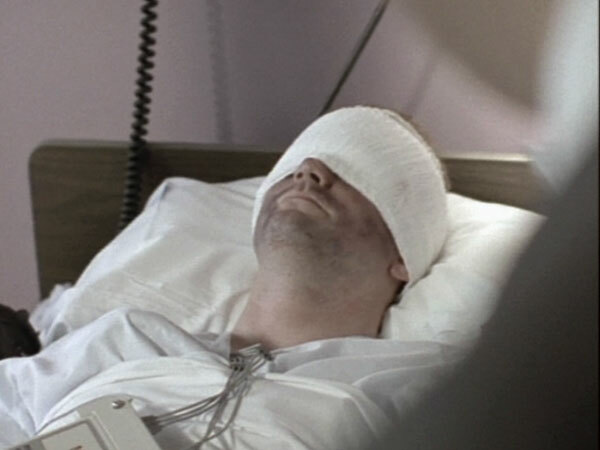 Chances are he'll live, but it's still uncertain about brain damage. It's likely he'll be blind. Regarding the shooting, we learn that Thormann was shot at point blank range with his own service revolver. An anonymous caller phones in and tells Crosetti that the shooter was a guy named Alfred Smith. We also learn that Thormann was a model officer, having received four citations for valor in three years. 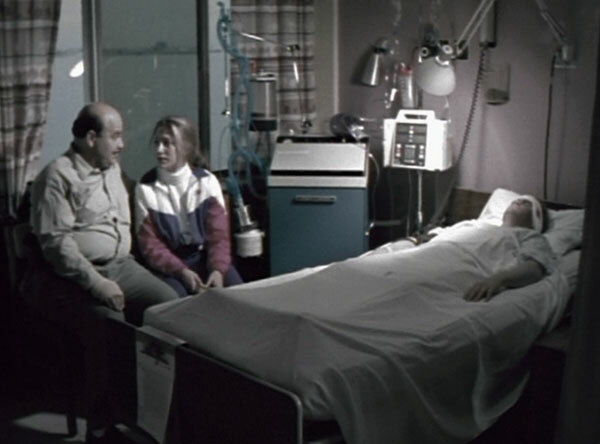 Later, Crosetti and Eva maintain a vigil at Chris' bedside. 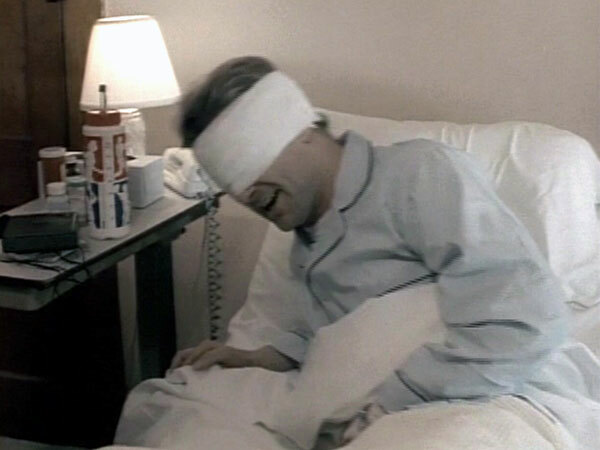 His eyes are heavily bandaged and he is in a coma. 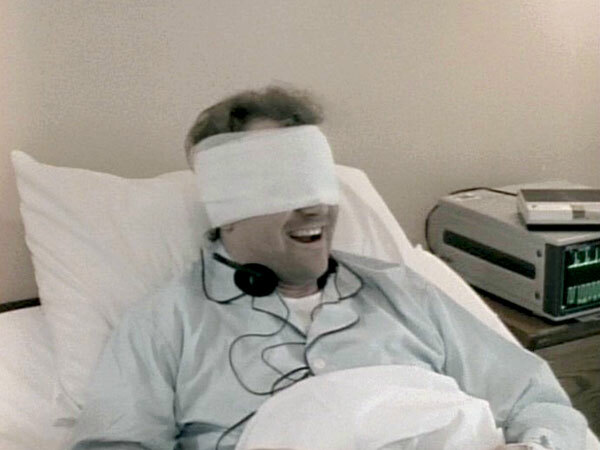 Crosetti slips headphones on Chris and plays some light jazz, music that the two cops both enjoy. 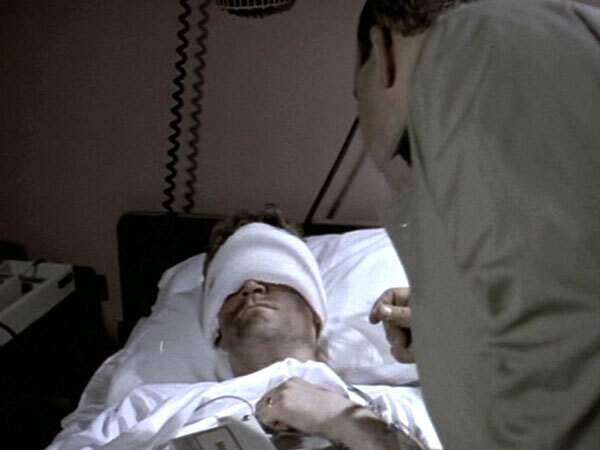 In a moving scene, the doctor excitedly tells Crosetti that Chris is making a remarkable recovery. 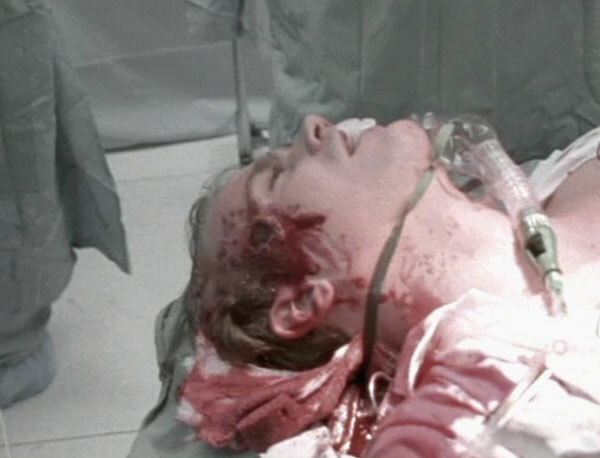 He warns that the shooting damaged the eyesight, speech, motor skills and olfactory portions of Chris' brain. The doctor tests Chris' responses by asking him to squeeze his hand once for yes if he can hear him. After a moment, Chris asks, "Once for yes?" Everyone is relieved. Meanwhile, Alfred Smith, the suspect in Chris' shooting, gives himself up to avoid being the victim of police justice. A witness (a guy named Charlie Flavin) had placed Smith at the scene and there was blood on his shoes. But Smith says all he did was lean over the body and take Chris' money. There's not enough evidence to convict Smith, so a deal is suggested that would put him away for about 7 years. 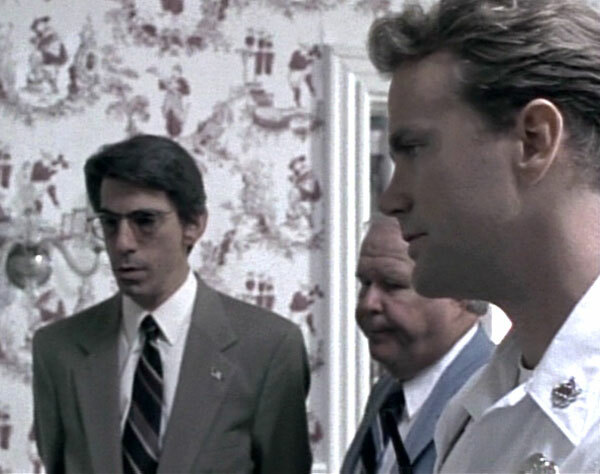 When Crosetti tells Chris this, the wounded officer struggles to say, "He should be in prison every day that I'm blind." Detective Lewis does some more asking around, and it turns out that the assailant really is the eyewitness -- Charlie Flavin. 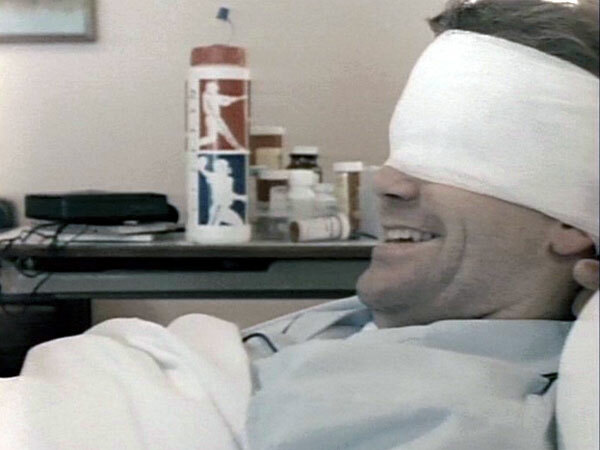 The guy is constantly complaining about his migraine headaches. 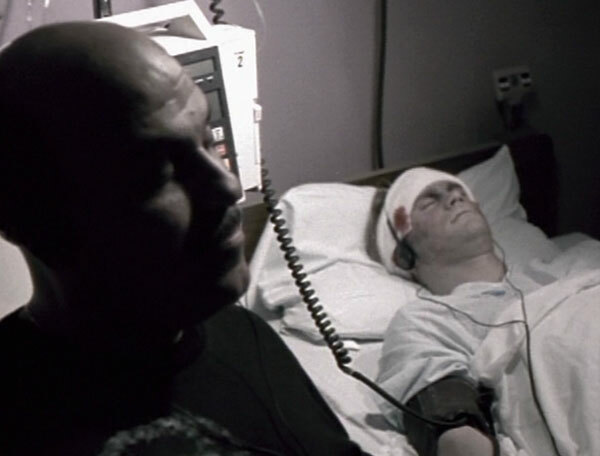 He was suffering from one on the night he encountered Officer Thormann, and when Chris questioned him about something, Flavin pulled an ice pick out. Chris took the ice pick away, but then the guy said he took Chris' revolver and "capped him twice." The writer of this episode is Jorge Zamacona, the creator of "Wanted." Crosetti goes to visit Chris, who has been released from the hospital and is continuing his recovery at home. 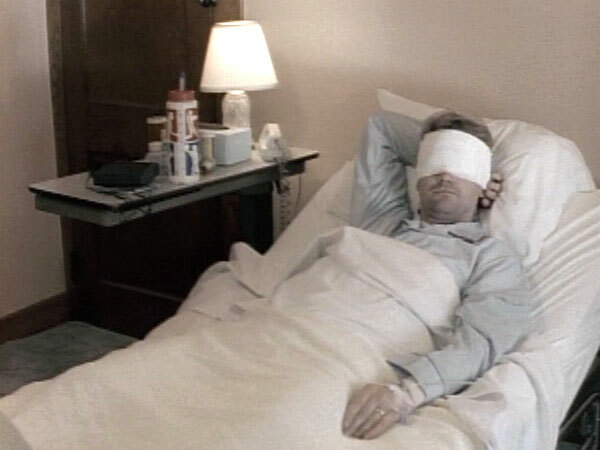 Chris is feeling helpless; he is still attached to monitors and IVs, he can't get out of bed, and cannot even control when he goes to the bathroom. 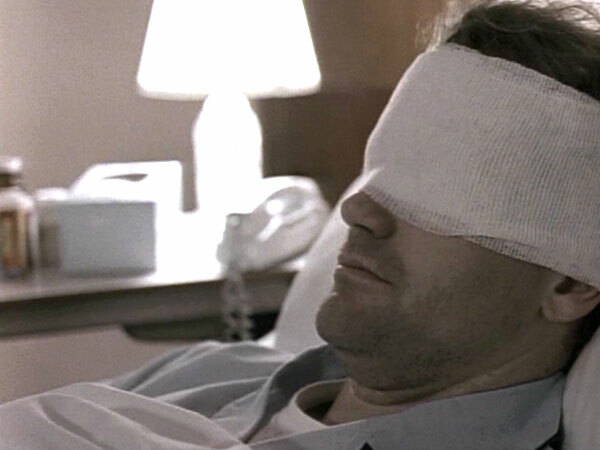 And on top of having to deal with his recovery and blindness, Chris and his wife learn that Eva is pregnant. Chris is distraught. He tells Crosetti, "I should have died! How can I be a father?" Crosetti, however, reassures him that he should relax. 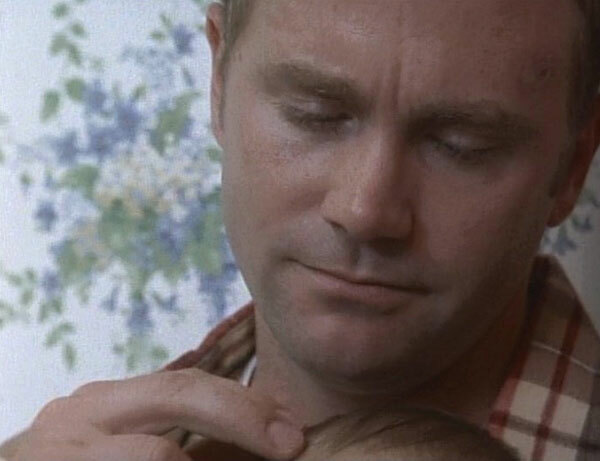 He'll be a good father; he'll be there for his child. 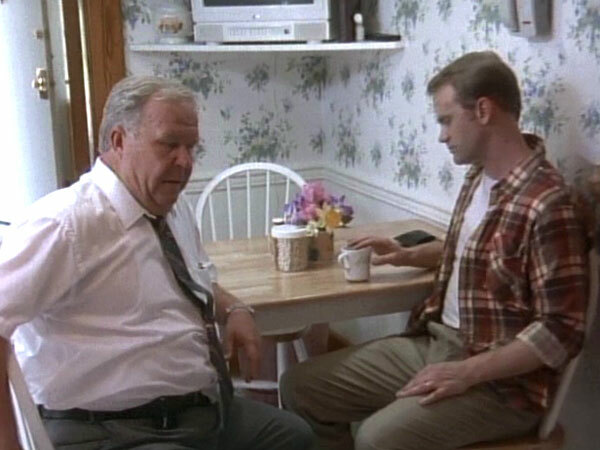 Detective Bolander (Ned Beatty) pays a visit to Chris Thormann and questions him about Crosetti. 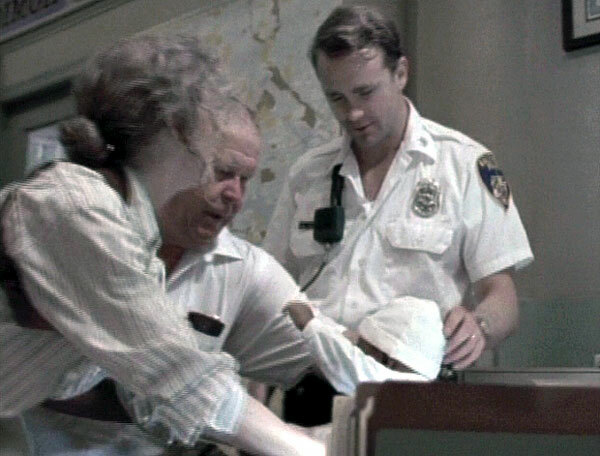 The scene is a touching one, with the blinded officer feeding his young son during the questioning. Thormann is evasive at first and says Crosetti seemed OK the last time he visited. Bolander says, "Usually I can tell if a suspect is lying by looking in their eyes." But he can't tell with Chris. He says maybe Chris feels beholden to Crosetti, like he owes him for tracking down the man who shot and blinded him. Chris admits that Meldrick Lewis, Crosetti's partner, came by the night before to warn him that Bolander would be asking around -- looking to prove Steve took his own life. "He told everyone not to give you any information," Thormann said. "He said we had to protect Steve from you. He said you were bloodless." Chris is seen later in the episode, during Crosetti's funeral procession. 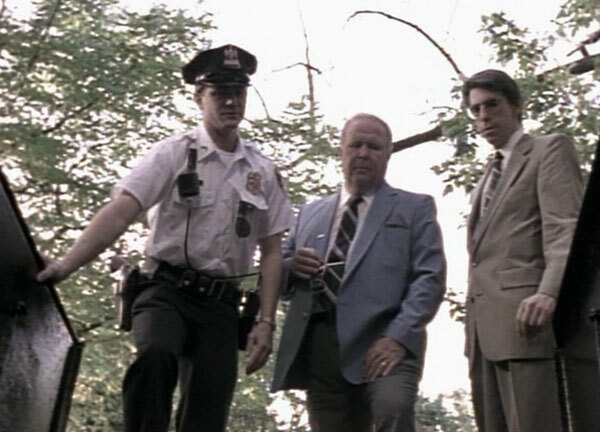 This scene includes the powerful moment when Detective Pembleton stands along the route in full uniform and salutes the passing hearse -- a bold act of honor to Crosetti. This is another episode shown out of production order. 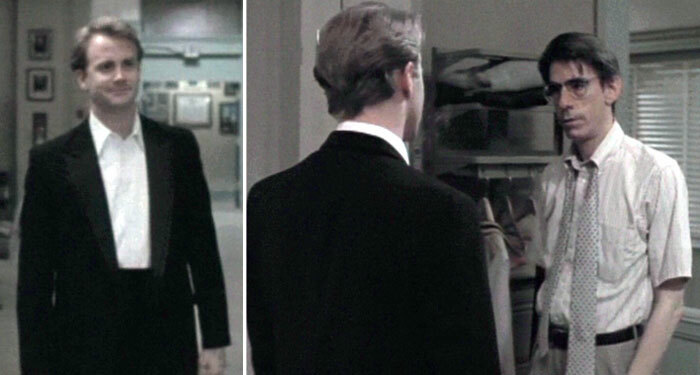 During the original run, it should have been seen after Episode 3.3. Detective Meldrick Lewis (Crosetti's former partner) is spending an evening at a nightclub with Chris and Eva Thormann, listening to blues and jazz. The three are having a good time, until Chris suddenly reflects on his memories of the shooting that blinded him. 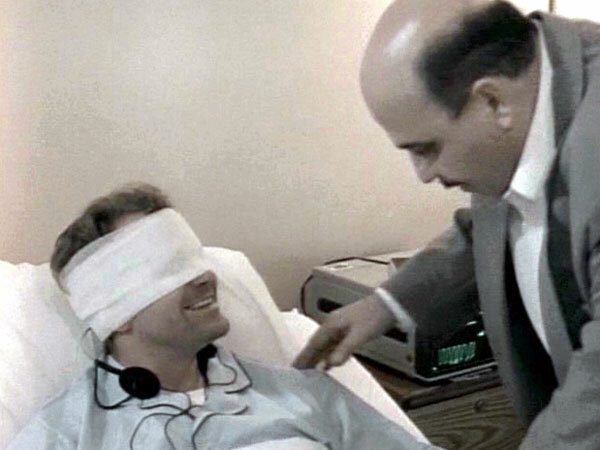 At work shortly thereafter, Lewis learns that Charlie Flavin -- the man who shot Chris -- is up for parole early. 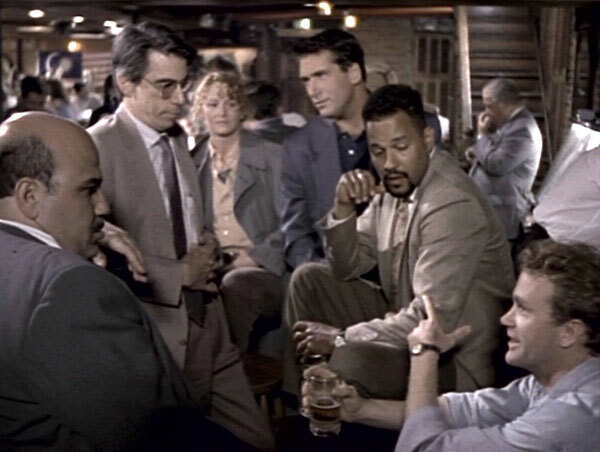 Lewis goes to visit Chris to see if he knows about the impending parole hearing. He does, and he's shaken by it. Part of it is fear, his sense of helplessness as a blind man: "You can't imagine how many sounds you can hear in an empty house." Part of it is anger: "I think about him out ... having his life ... and it makes me crazy." We learn that Chris has remained on the police force, working in the medical section and "playing receptionist." He scoffs that it is not police work, but he doesn't know what else to do with his life. Lewis asks how Flavin got a hearing so quickly. Chris explains that there was a riot at the prison and Flavin saved the life of a corrections officer. 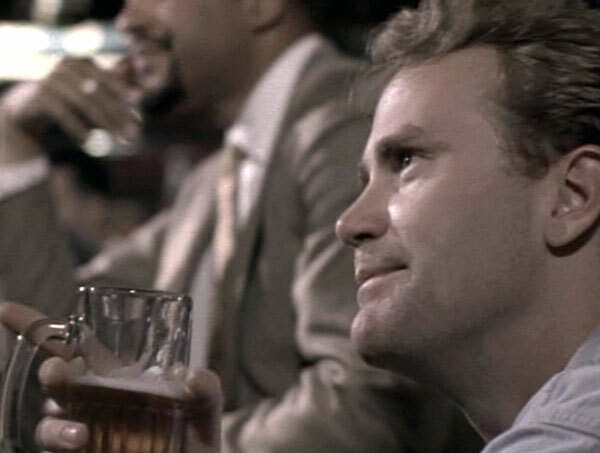 In a shaky voice, Chris says, "Can you believe it... the SOB is some kind of hero." While waiting to make his statement before the parole board, Chris meets the corrections officer whose life Flavin saved. He is a good and noble officer, and he tells Chris that it would be wrong not to show support for Flavin. "But it also wouldn't be right if I didn't talk to you," the officer says. The exchange leaves Chris perplexed, as it throws a new shading into the right-and-wrong of Flavin's crime and punishment. When it comes time to address the parole board, Chris stops Eva from reading the statement he had prepared, which undoubtedly would have been strongly worded against Flavin's release. Instead, he tells the parole board that he won't try to influence them and offers soul-searching comments about the journey of his life and trying to figure out who he will become. In the end, Flavin's parole is denied. Chris is relieved. But the moment is bittersweet. He tells Lewis, "I'm always going to miss it [police work]. And one of these days, he's going to make parole." He sighs heavily. 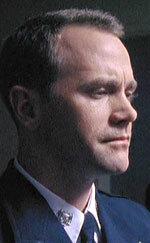 The episode closes as Chris addresses a group of patrol officers as they start their shift. He is witty and inspiring and sad all in the span of a few minutes. Officer Thormann is indeed on a journey, and it would be great to revisit this character. 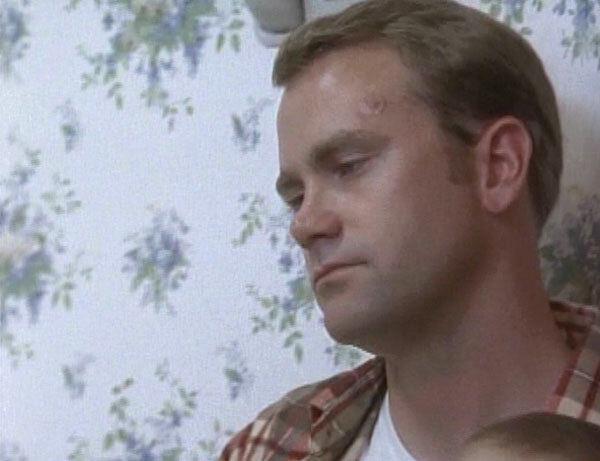 74 images that capture the range of emotions in Lee's numerous scenes. This was a momentous episode for many reasons. 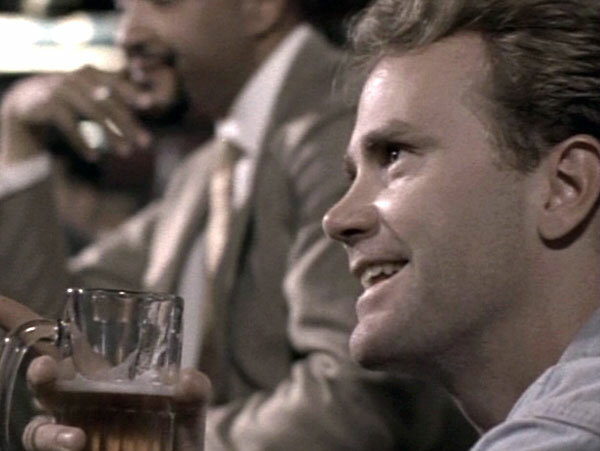 It features the lengthiest appearance of Lee Tergesen in his recurring role as Officer Chris Thormann. It's a magnificent performance, demonstrating remarkable emotional range. The episode also covers many themes that will echo in "Oz." That's fitting because after filming this episode, Lee met with Tom Fontana and discussed Fontana's plans for a prison drama on HBO. 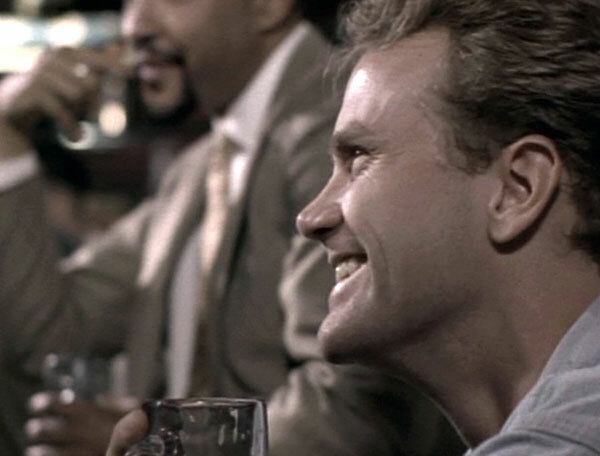 Shortly thereafter, Lee was cast as Tobias Beecher in "Oz," a role Fontana created specifically for him.